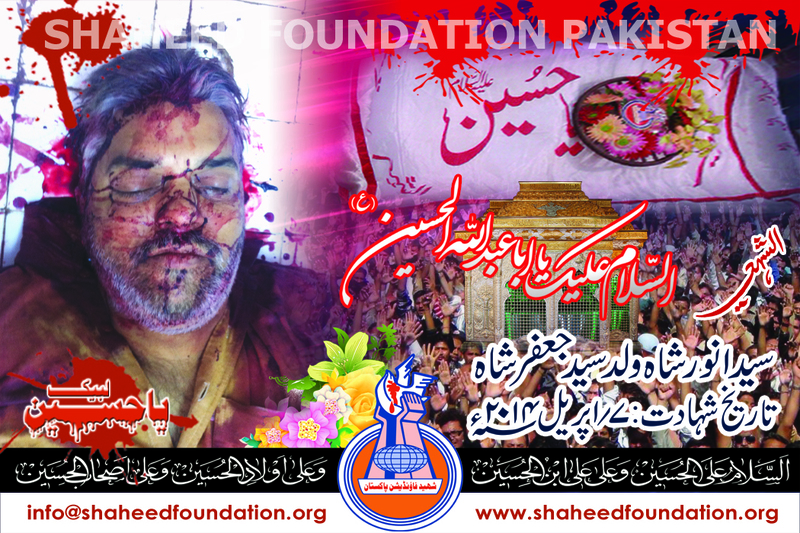 Syed Anwar Shah s/o Syed Jaffer Shah embraced martyrdom when terrorist open fire on him. The incident occurred near Daakhana, Liaqatabad. He was owner of Al Abbas Bakery. He was 50years old. Body shifted to Old rizvia imambargah, Namaz-e-Janaza was held in Old rizvia. Tadfeen will be held in Noshera Vikran, Lahore, body will be transferred to Lahore. Please recite a fateha for Shaheed Anwar Shah and Shohada-e-Millat-e-Jaffaria Pakistan.